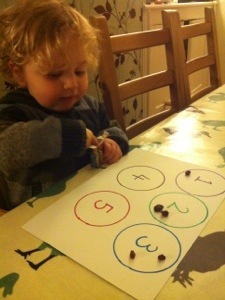 I’m beginning to realise the many good things about having a 2 year old around. Elliot is so much fun right now, and picking up things like a sponge – he knows all his letters and we’re having fun trying to teach him the phonic sounds that go with them. He loves to get them wrong on purpose and make us laugh. 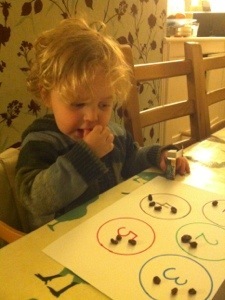 After nursery today, Elliot was enjoying counting raisins back into their box and it made me think of a good game we could play. The best part was the eating at the end! 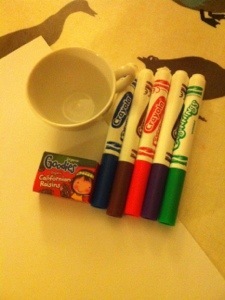 This entry was posted in Educational, Elliot, Fun and tagged Activities, counting, games. Bookmark the permalink.